AirPods wireless headphones have become a hit in Russia. According to retailers, selling tens of thousand copies, according to Hi-Tech Mail.ru. AirPods started to sell in Russia at the end of 2016. Since the demand for them is constantly growing. The prices remain at the level of 11-14 thousand RUB According to the commercial Director of the company “Coherent/Euronetwork” Dagmar Ivanova in the first half of 2017, has sold about 10 thousand AirPods worth over 128 million rubles. 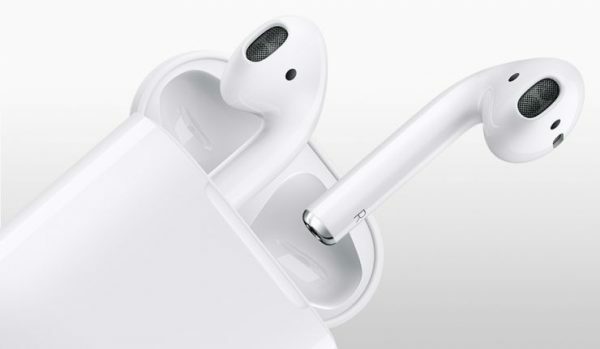 In 2018, the Russians already bought 80 thousand AirPods, while in may it sold 23 thousand headphones. Over the past year, sales of AirPods increased by 727%. According to Hi-tech Mail.ru in 2018, the Russians spent AirPods more than a billion rubles. In “Eldorado” also noted the high demand for headphones. The representative of the retailer said that in 2017, spoke about the thousands sold AirPods, and in 2018 already talking tens of thousands. In June 2017, the share of Apple in the headphone market amounted to 20.9% — this is the first place. Followed by JBL — 20.3% and Sony — 13,1%.